Living in Texas... I've got an old debt with a bank credit card that has changed hands several times. It is well past 7 years old and doesn't show on my credit any more. Before doing the research, I made a settlement agreement with ARA to pay about 2K to settle it out. I also paid a couple hundred dollars at that time I guess to show I was serous about settling. I've since found out that they can't sue me over the debt any more and I probably should have blown it off. My question is, did I mess myself up making a settlement agreement, or is it safe to ignore them? I've recently had some medical issues and it's more important to me to stay current on that. Any advice would be greatly appreciated. My question is, did I mess myself up making a settlement agreement, or is it safe to ignore them? You probably did. 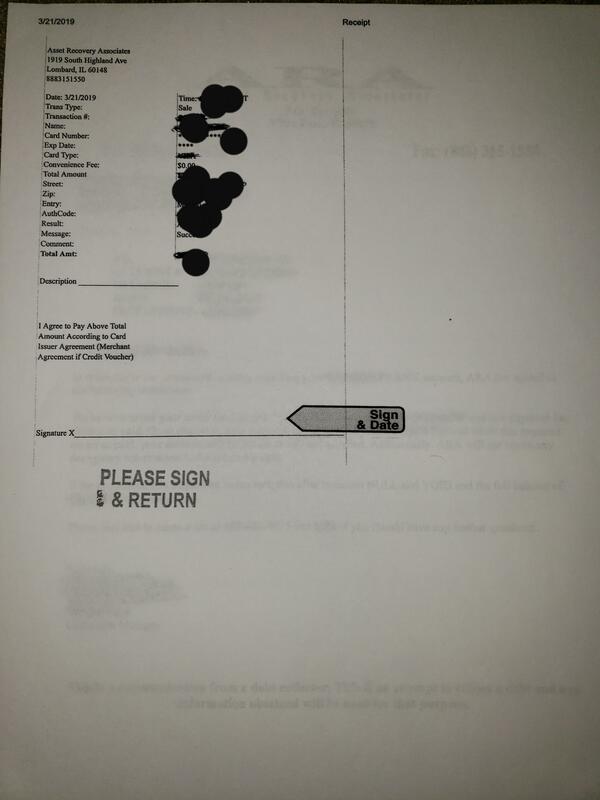 Can you post a copy of what you signed with your personal information blacked out? Sure. This is everything I have from them. I haven't technically signed anything yet, just a recorded verbal agreement. Dang. 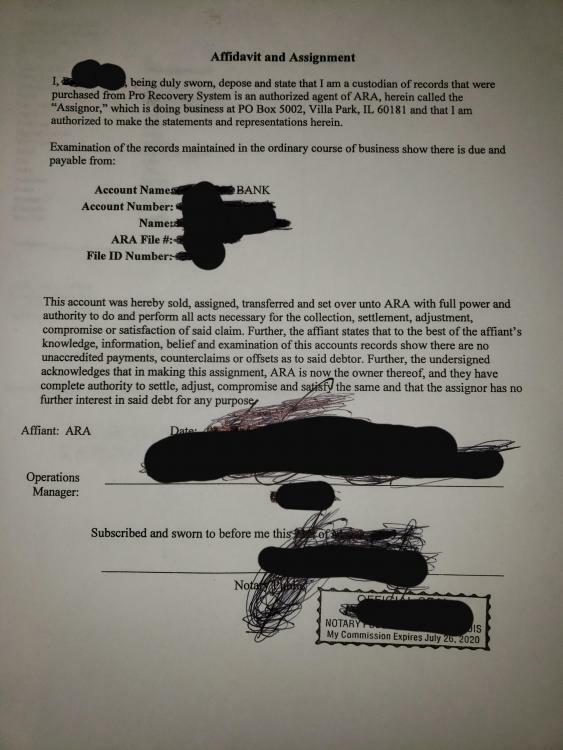 It appears that you created a new agreement to pay which did likely reset the clock on suing you for defaulting. To be certain I would take that to a Consumer Attorney to find out if making that payment and the verbal agreement are legally binding. I suspect they are. Shoot. I missed their deadline too because of the issues I was having. They called today saying they sent a final notice, but they said they'd extend the offer for one week. Any suggestions for covering my rear? The hospital reduced my payments so I'm comfortable with paying the agreed upon amount, but I'd hate for them to turn it back around on me and try to get more later. Which bank was the OC for this account? 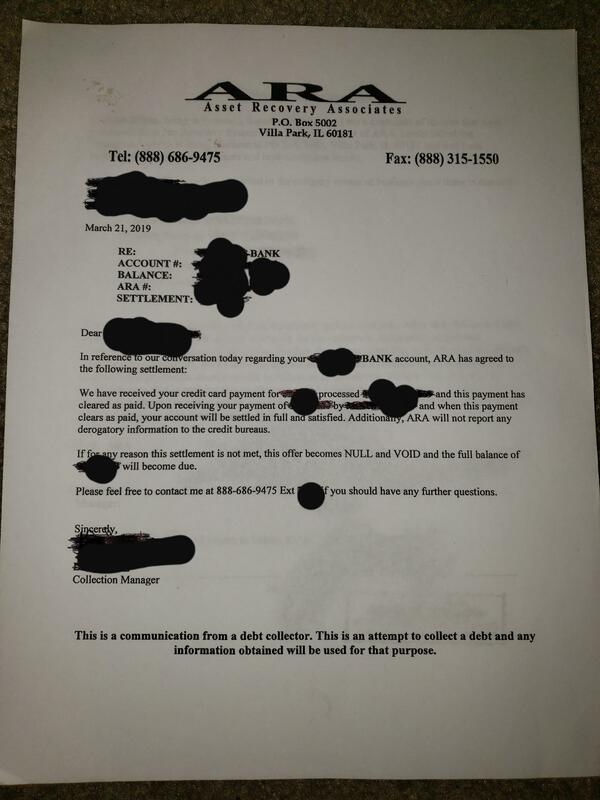 When you talked to them, did they mention the debt was too old to sue you for?